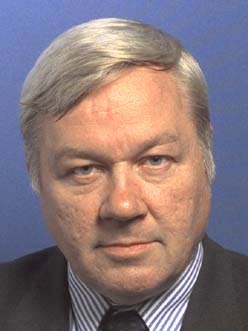 Studied Mathematics and Computer Science at Eindhoven University of Technology (TUE), graduated in 1974 and during four years a database researcher at TUE. Has been project leader at the Ministry of Transport from 1978 until 1980. Has been at the Department of Information Systems, Delft University of Technology (TUD), since 1980, received his Ph.D. at TUD in 1991, was a lecturer until 1985 and later on an associate professor. Lectures in Database Systems and is leader of the Xplain database project. Produced a number of technical papers, articles and books on semantic database technology and has had wide experience with data modeling in various fields. Johan ter Bekke died on March 19th, 2004. Manual Xplain DBMS versie 5.8 - info in Nederlands (index file in html-format). Xplain2SQL: conversion tool - info in English (online software version). Manual Xplain2SQL version 1.0 - info in English (file in pdf-format, 153 KB). J.H. ter Bekke and J.A. Bakker, Modeling and Querying Recursive Data Structures I: Introduction Proceedings of the Seventh International Conference on Artificial Intelligence and Soft Computing, Banff , Canada (2003), pp. 278-282. J.H. ter Bekke and J.A. Bakker, Modeling and Querying Recursive Data Structures II: A Semantic Approach Proceedings of the Seventh International Conference on Artificial Intelligence and Soft Computing, Banff, Canada (2003), pp. 283-289. J.H. ter Bekke, Semantic requirements for databases in casual environments; Proceedings SAICSIT '99, Johannesburg (1999). J.H. ter Bekke, Advantages of a compact semantic meta model; Proceedings 2nd IEEE Metadata Conference, Silver Spring (1997). J.H. ter Bekke, Comparative study of four data modeling approaches; Proceedings 2nd international EMMSAD workshop, Barcelona (1997), eds. K. Siau, Y. Wand and J. Parsons, pp. B1-B12. J.H. ter Bekke, Semantic modeling of successive events applied to version management; Proceedings International Symposium on Cooperative Database Systems for Advanced Applications (CODAS '96) Kyoto (1996), in: Cooperative Databases and Applications, eds. Yahiko Kambayashi and Kazumasa Yokota, World Scientific, Singapore (1997), pp. 440-447. J.H. ter Bekke, Meta modeling for end user computing; Proceedings Workshop on Data and Expert Systems Applications DEXA 1995, London (1995) eds. N. Revell and A Min Tjoa, pp. 267-273. J.H. ter Bekke, Complex values in databases; Proceedings International Conference on Data and Knowledge Systems for Manufacturing and Engineering, Hong Kong (1994) ed. Nelson Chen, pp. 449-455. J.H. ter Bekke, A data manipulation language for relational data structures, Systems for Large Data Bases, Proceedings 2nd International Conference on Very Large Data Bases (eds. P.C. Lockemann and E.J Neuhold), North-Holland (1976), pp. 159-168. J.H. ter Bekke, Database ontwerp (3e druk); Kluwer Bedrijfswetenschappen, Deventer (1993). J.H. ter Bekke, Semantic data modeling; Prentice Hall, Hemel Hempstead (1992). J.H. ter Bekke, Semantic data modeling in relational environments; Doctoral Dissertation, Technische Universiteit Delft, (1991).